As more and more people use the internet for their home finding needs, there has been a significant increase in an alarming trend – rental fraud. 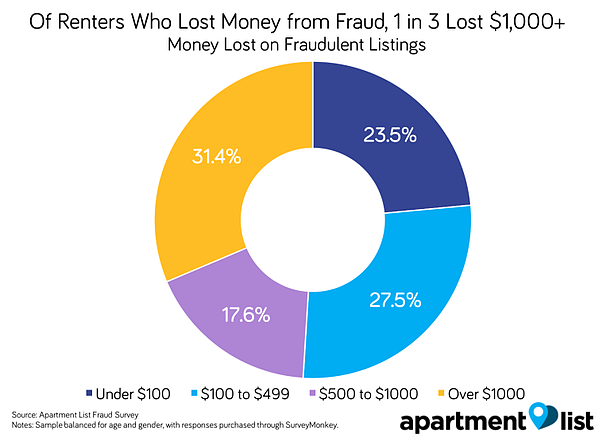 In fact, a recent study conducted by ApartmentList.com, found that more than 5 million renters have lost money from rental fraud, with 31.3% losing $1,000 or more. So how are scammers able to be effective with renters finding properties online? Scammers are extremely savvy and use several tricks to take renters’ money. One trick that has become very common is the “bait-and-switch” maneuver, where scammers advertise for a different property than is being offered and try to get a deposit or lease signed before victims realize it’s a hoax. “Phantom rentals” are another problem, where scam artists list a fake unit at a low price in hopes of signing a lease or getting deposit money. Sometimes, a fake landlord will post an advertisement of a legitimate rental but insert false contact information. Other landlords may boast about amenities that a unit doesn’t have – like laundry, heat/air conditioning, or an outdoor space – hoping to get a lease signed before the renter notices. In like manner, some scammers may collect application fees or security deposits for a rental that someone else has already signed on. The good news is that although scammers are getting more creative, renters are getting more cautious. According to the Apartment List survey, 88% of renters who lost money from fraud changed their rental search process by either conducting additional research, visiting properties and meeting landlords before signing a lease or paying a deposit, and only using trusted online search platforms. The keys to avoiding becoming a victim of rental fraud is to beware of the signs of a suspicious advertisement. 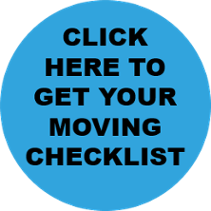 According to Moving.com, a few indicators are if: the price seems too good to be true, the listing has poor grammar or errors, or the landlord won’t let you see the property. That usually means that they either can’t access the property, or it already has a tenant. Other red flags may include the landlord requesting personal information or money right away, saying they “can’t” or won’t meet in person, or seeming overeager to sign a lease or get a deposit. Another good precautious measure is to never deal in or wire cash, as both methods are harder to trace or get back if it turns out to be a scam. The bottom line is renters are more vulnerable than they think when using the internet to find a rental. While it’s possible to find a place through self-research, with rental fraud running rampant, it’s always wise and more secure to seek assistance from a local expert. Dwellworks rental assistance is an option to ensure the process is conducted securely and efficiently through RentAssist™ for corporate relocating employees and regular renters alike. Searching for a rental? Check out RentAssist™! First, notify the police and the publisher of the ad (Ex: Zillow, Craigslist) and provide them any information you have. You may not have been the first victim to the same scam and the more documented information there is, the less likely there will be another. Second, consider filing a complaint with the Federal Trade Commission. The data they collect is used to help law enforcement pursue cases of deceptive advertising and data security issues. Third, exercise more precaution in your rental pursuit. By taking some of the measures mentioned above, it’s possible to avoid making the same mistakes twice. Finally, share your story to help spread awareness of the issue and potentially prevent others from following suit. If it causes someone to be skeptical of a suspicious advertisement in the future, it will have been beneficial to share. As scammers continue their attempts to trick renters online, every one of us can do our part to help spread awareness and decrease the frequency and effectiveness of these fraudulent efforts.